Round two of the Division One senior league takes place on Thursday evening at 7pm when Edenderry host Shamrock's at Rosderra Gaelic Park. Tragedy struck 100 years ago when a tournament being played to allay the debt on St. Mary's Church saw a player from Rhode die on the field of play. The venue was Fay's Field in Coneyboro, next to the Boyne Bridge. Rhode was playing Killeigh in the County Championship. On the Rhode side that day was Bernard Smullen - a postman - who died as a result of an accident when he collided with the goalpost. "I remember vividly Rhode playing football in Edenderry, I was goal umpire and a chap from Rhode, Smullen - a postman - ran into the post and died. The story goes that his cap fell off the peg at his home at the moment he died and his mother picked it up and said "I wonder what knocked that off?" His death brought an immediate response and in October 1919 at Tullamore a tournament match was played between Tullamore and a Clara-Killeigh combination for his dependents. Carious fundraising events continued to be held for the bereaved family including a tournament in Tullamore when Ballyduff Park hosted the Smullen Testimonial Games on September 7th 1924. This tournament attracted a fine crowd to see Dublin Hurlers beating Laois, and Offaly scoring an easy 4-05 to 2-0 win over a fairly strong Kilkenny selection. Or how deep in our hearts we morn him. From October 4th 2019, Edenderry GAA will be offering our players, boys and girls, the chance to improve their Gaeilge ahead of their Junior & Leaving certificate exams in the Summer of 2020. 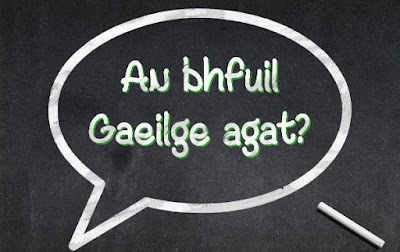 One hour classes will be held in the classroom at our clubhouse every Friday evening with our Irish Language officer, Niall O'Leary. The grinds will be available to all club members who are sitting their exams in 2020. 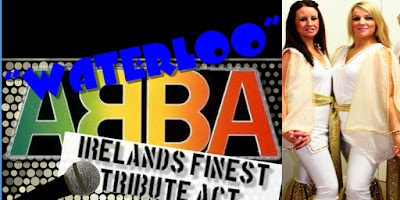 On Friday August 23rd, Edenderry GAA will host 'Waterloo', Ireland's finest ABBA tribute act! Over 40 young Reds traveled to Croke Park on Saturday last for an amazing opportunity to play on the hallowed ground of our National Stadium. A mixture of excitement and pride was on display as our young reds played their hearts out on the day. They did themseleves, their families and their club proud, on what was a memorable day. The U14 ladies footballers take on Rhode on Wednesday at 7pm in Rosderra Gaelic Park. 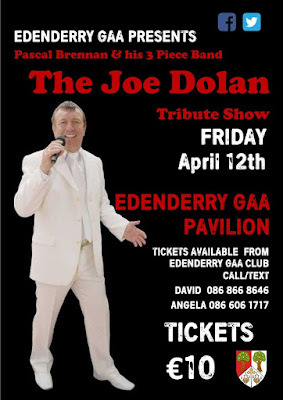 On Friday night last, Edenderry GAA hosted the Joe Dolan tribute band featuring Paschal Brennan and it was a fantastic night. The club are currently looking at hosting the band again later in the year due to phenomenal demand. The next big night in our club calendar is June 14th when we will be hosting our 80's tribute band, 'The Reflex'. The junior footballers got off to a great start in Division 3 with five point victory over St Brigid's of Croghan on Saturday evening at Rosderra Gaelic Park. Jake Kenny, Adao Dafe, Paul Hanlon, Andrew Forde, Jamie Coates, Briain Nolan, Ciaran Nolan, Bobby Reynolds, David Hanlon, Jamie Dolan, Derek Kelly, Rory Egan, Peter Butler, Mark Young, Daniel Lowry. The senior footballers got their campaign off to a bad start with a seventeen point loss to Rhode on Friday night. Cormac Hurley, Adao Dafe, Alan Pender, Eoin Dunne, Adam Mahon, Sean Pender, Gary Blong, David Moloney, Richie Dalton, Rory Egan, Derek Kelly (0-2), Mark Abbott, Ciaran Farrell (0-3), Jack Brady, Daniel Lowry.